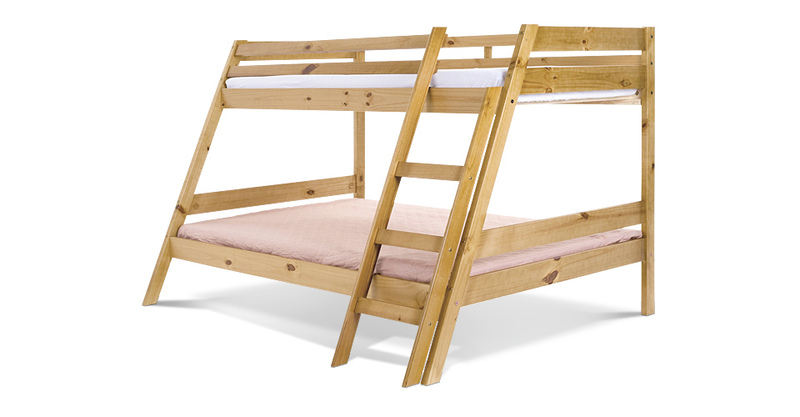 The Marilleva Triple Bunk Bed by Verona is an excellent choice for childrens room as it maximises the floor space available and also offers various sleeping arrangements whether you have more than one child or if you host numerous childrens sleepovers. The wooden design of the bunk bed in neutral colours ensures that it will suit traditional and contemporary decor. The Marilleva Triple Bunk Bed by Verona is made from pine ensuring a long lasting bed frame. Please quote this Products's code 81028B to speed up your query if related.